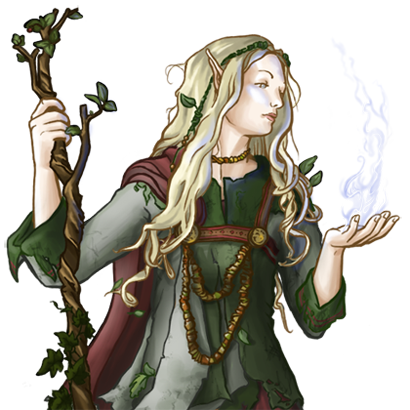 The magic of the elves is wholly unlike that of humanity, so much so that humans are almost universally incapable of understanding it, let alone using it. Likewise, those who are masters of it are equally enigmatic; though it can be said that they are revered by their people, very little can be said about their actual function or purpose within that society. Nota bene: This unit has magical attacks, which always have a high chance of hitting an opponent. This unit is able to slow its enemies, halving their movement speed and attack damage until they end a turn. This unit’s arcane attack deals tremendous damage to magical creatures, and even some to mundane creatures. Last updated on Sat Apr 20 00:48:41 2019.